supporting Mark Jefferies Air Displays. Nick by trade is a a freelance video professional with twenty-five years experience of working within the corporate market: for production companies, PR and MarComms agencies and directly with end clients. His specialist skills lie in editing; motion graphics; directing; producing and scriptwriting. Combining these skills with the latest technology – Final Cut Pro X, Final Cut Pro 7, Premiere Pro, Motion, After Effects. A few years ago the Extra 300s was considered dated and outclassed however in the World Aerobatic Championships 2007 I competed in the 300s and managed a credible 9th place overall. The last occasion the 300s had been flown into the top 10 was in 1996 by Eric Vazeille when he flew to a bronze medal. The CAP 232 and SU26 then took over as being the “must have” aircraft. Today the “must have” is back in the EXTRA camp with the Extra 330SC, however a few people consider the Xtream XA41 but these a/c are yet to be placed in classic aerobatic contests. The weight of the Extra 300s I flew at WAC 2007 was 650kgs and 300hp. Today the Extra 330LX (2 seats) typically comes in at 645 kgs and has the 315hp Lycoming AEIO-580 engine. If a competent pilot were to fly this a/c at the World Championships it would be very possible to place in the top 10. The above video is the old Extra 300L that’s been around for 20 years yet in the right hands its quite a performer. Tumbles, snap rolls being a specialty of the Extra. 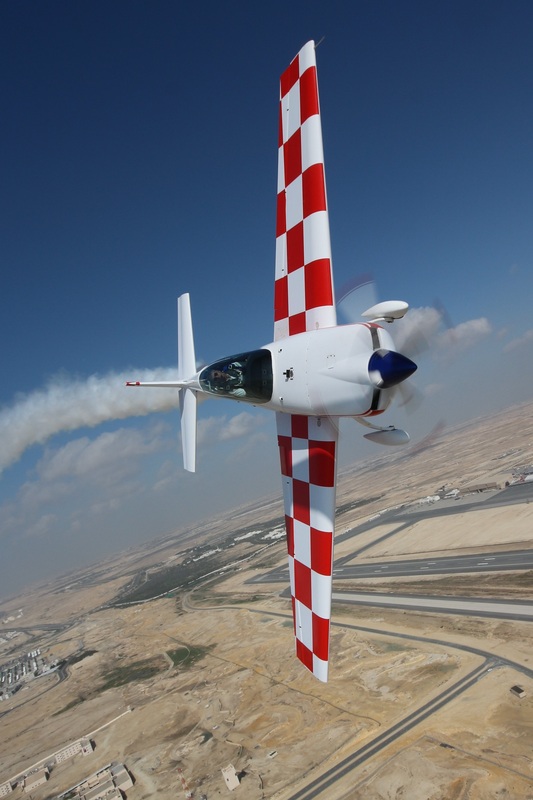 Over 300 different types of Extra aircraft having now being produced since the mid 1980’s this is the most successful aerobatic aircraft of all time. Steel tube fuselage with a combination of fibre glass and fabric skinning. The wing is made from carbon fibre and glass. Avionics and instruments do vary, the latest aircraft have EFIS displays.